The best addition from Norway by far. This neat phone booth stood right on the tourist path with plenty of passers-by to answer. 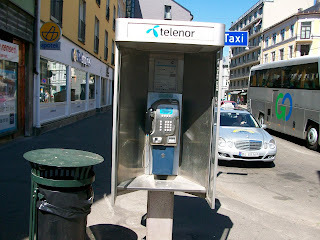 It shows the particular style of Norwegian phone booths. A lone payphone somewhere on the streets of Oslo. Didn't get a location for this one other Oslo, but it's open booth design are my favourite. It means the ringing can be better heard by passers-by. Great addition here from Navin. 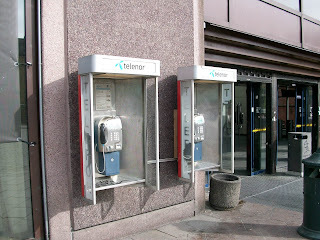 Two shiny well maintained payphones outside the busy Central Station in Oslo. You've a good chance of an answer with these two. What a cool addition from here in London, UK! A place that has tight regular, you can find the front half of a dismantled car right next to a phone box on the street. 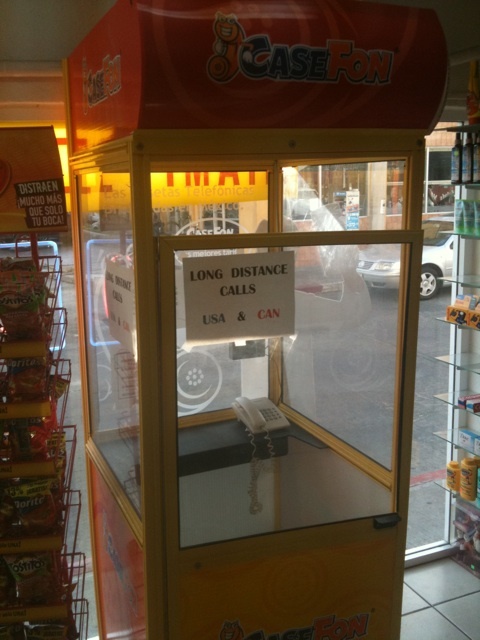 The bad news is that you're unlikely to get an answer calling this payphone. The phone booth stunk of urine and was dirty all over. So doubt anyone would use even if their call were important. Bet you don't see this everyday!? Thanks to @TimelineMadness from Twitter, for bringing this to our attention. I think that the scene, (fat lady standing atop a payphone) would have been made even more unusual had someone called the payphone at this very moment. Another good one from this shopping centre. This time it's bang smack next to a cafe with seats nearby too. 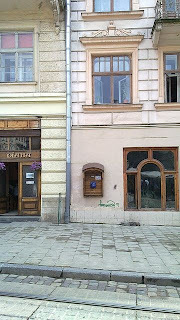 The thing that struck me about this one, is that on the same pillar there was a strange device! It was a rapid mobile phone charger! At the bottom of the device was a little flap that revealed connections for all sorts of mobiles. 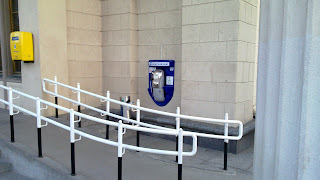 I guess it's another sign of the payphones demise that people are looking for a means to charge their mobiles rather than use the payphones of old to make their connections with people. This is a nice addition to the site. Positioned in a heavy footfall part of this iconic shopping centre in a rough area of South London. For Years now, the shopping centre has been falling into decline and disrepair, but is still the main place for locals to complete their shopping. The payphone is the middle, just next to a main staircase. You often get people resting in this area too. With the numbers of passersby here and the good volume of it's ring, this payphone should at main times get you an answer. Good luck. Interesting looking phone box with the logo "CaseFone". 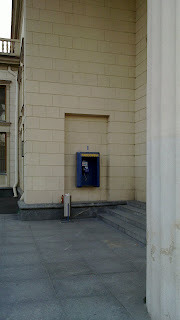 Looks like a private rather than Telemex owned phone booth. 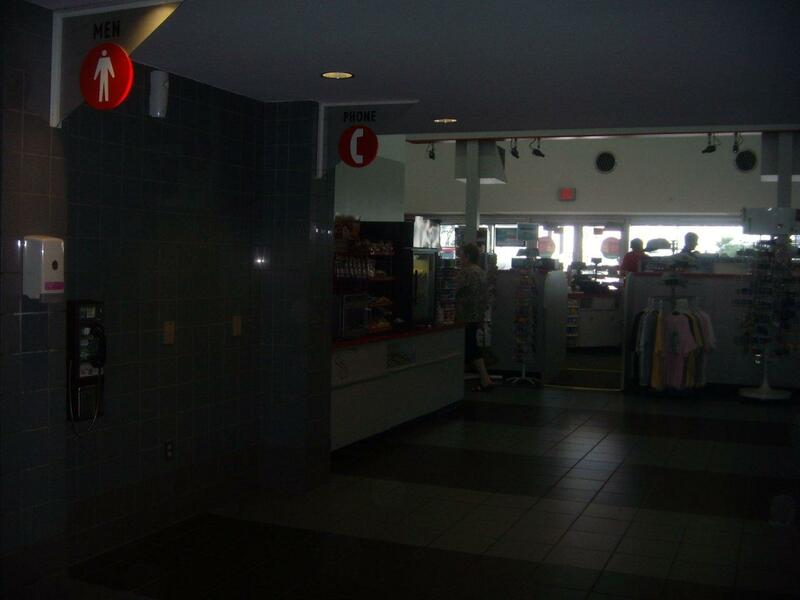 Interesting shot showing you the scene from the inside a pharmacy in this Seaside resort, looking out with the booth right next to a Doritos stand. Many thanks to @pst2 over on twitter for this. Rang about 4 or 5 times when I tried it. Someone waiting for a train, or getting off a train, or waiting in the shelter might hear it and answer. On the Missouri River Runner route from Kansas City to St Louis. You can track the status of arriving and departing trains on the Amtrak site. Trains often arrive late due to freight train traffic. Big thanks to NOMADCOWATBK for this. 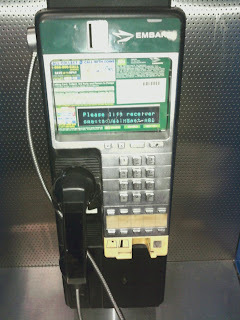 Unfortunately, the payphone does not accept incoming calls. But is interesting as it's situated in a side alley just of the busy shopping street that is Oxford Street. Also it's been subject to some vandalism with it's panel being kicked off letting us take a look at it's innards. On Interstate I35 near Towanda Kansas. This rings ring about 4 or 5 times. They are located next to the men's bathroom in the hallway between the convenience store and McDonald's. The McDonald's has free WiFi, if you are ever passing through on I35 and have time, you might want to try calling these phones on Skype with the McDonald's Free WiFi. 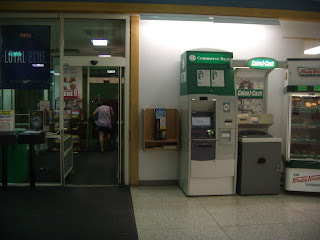 Big thanks to NOMADCOWATBK, the site's main contributor of payphones in the US. Thanks again. On Interstate I35 near Mattfield Green, Kansas. This rings ring about 4 or 5 times. They are located next to the men's bathroom in the hallway between the convenience store and McDonald's. The McDonald's has free WiFi, if you are ever passing through on I35 and have a of time, you might want to try calling these phones on Skype with the McDonald's Free WiFi. Big thanks to NOMADCOWATBK for this and all contributions to date. Store is open 24 hours, but busiest during the day. Checkout NOMADCOWATBK youtube video page. 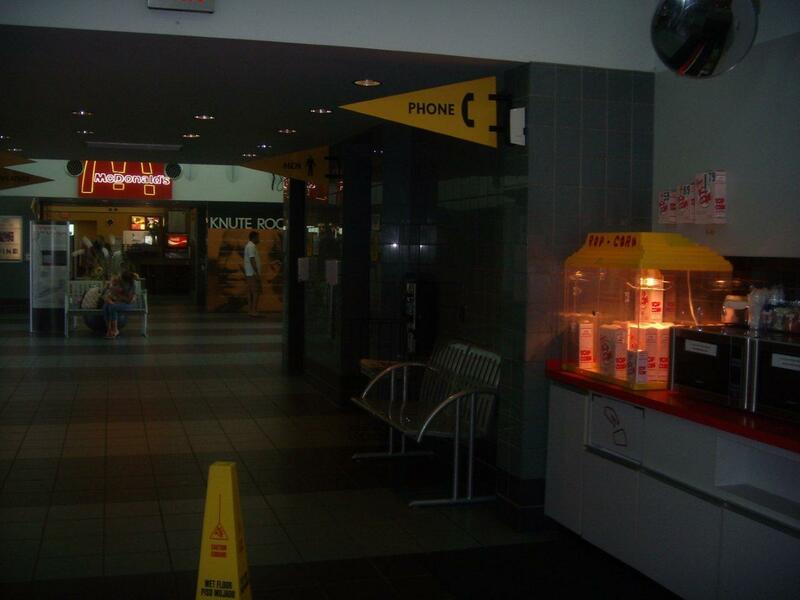 Some of the best prank calls (to payphones too). Yes, why didn't I think of it before. Skype! I love hearing from the site's visitors on this is yet another way. If you see me online. Click the image below to connect. Always happy to here from anyone on the site. 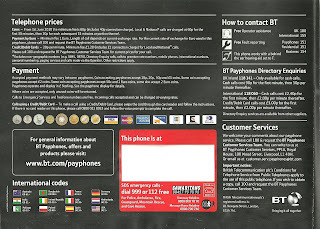 Here you can see an exact scan of the information card displayed in all British Telecom phone boxes. Makes an interesting read. 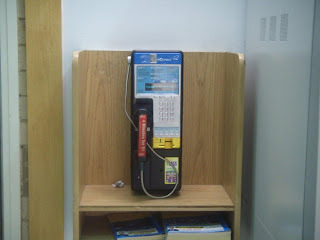 This is an unusual payphone enclosure by Colleen Graffy. Take they locals in this area like Dolphins. Unfortunately I don't know it's location other than China, nor do I have it's number. But still a good shot none the less. This payphone is by @crazybangor over on Twitter. 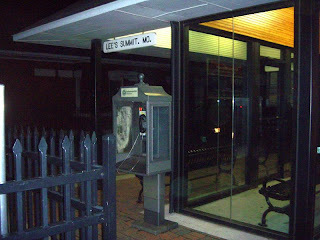 Another payphone positioned at the entrance to this main airport. Nice shiny, modern and new payphone from Ukraine. This one should get you an answer. 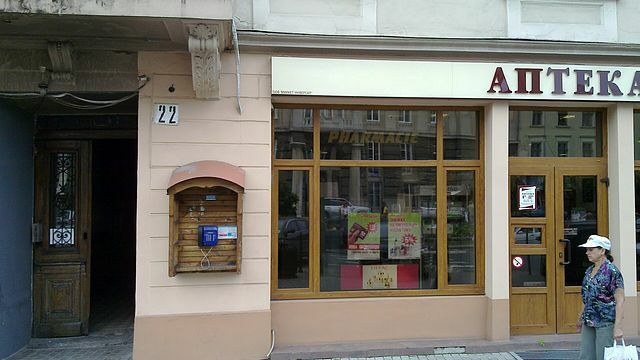 Positioned next to a busy drug store. Great character, love the wooden wall enclosure it's in. 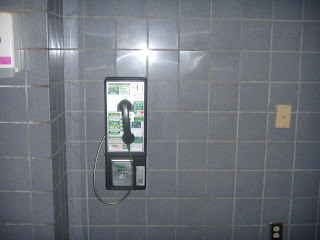 This phone is located by the east customer entrance door on the end of the vending machines. 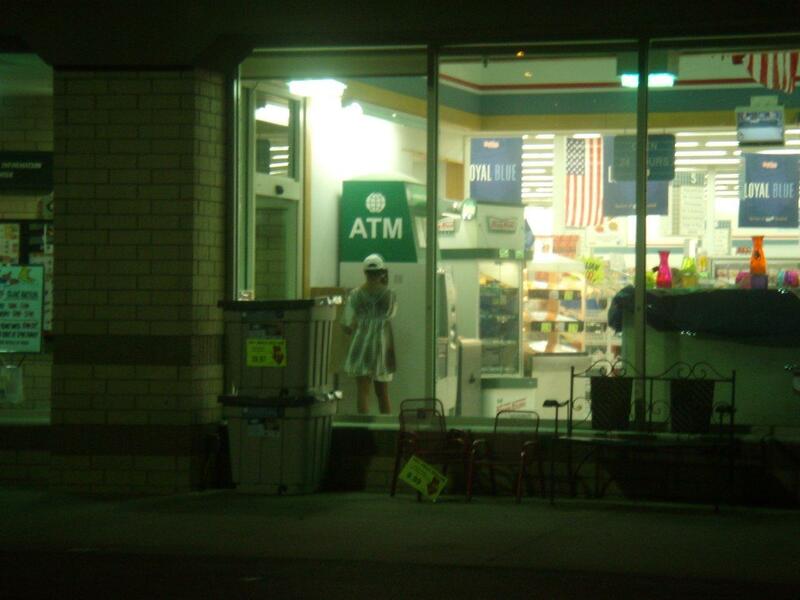 That side of the store (Location) is open 24/7. Great payphone from a fellow payphone website, Death of the Payphone by Christopher Hobbs. Check it out. Caledonian Road is my new home and I am now bringing my interest in payphones to this fascinating area. Today I've walked the whole length of Caledonian Road. Started at it's Southern point beginning in Kings Cross and heading North to it's end, where it meets Holloway Road. The walk is not too enduring but is lengthy none the less, heading continuously up a slight hill. 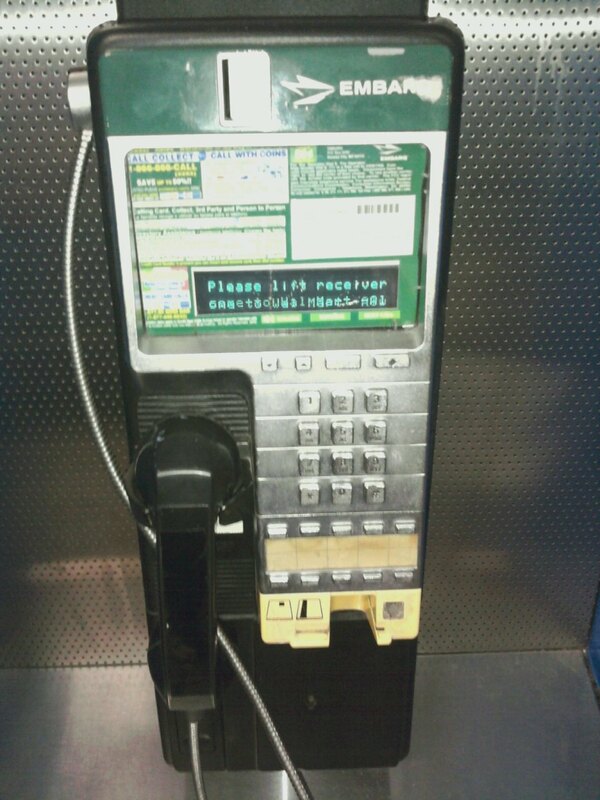 Below you'll find a google map, where I've listed each and every payphone on the way. 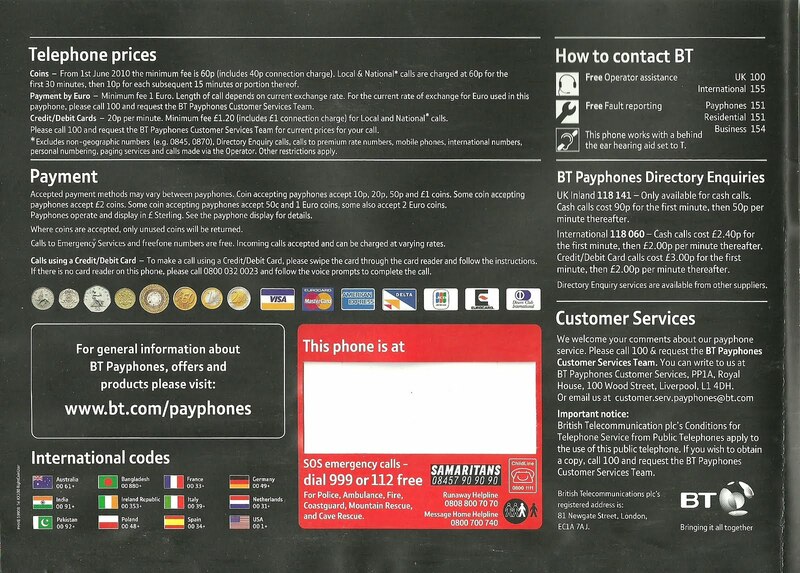 As you look further on down the page you'll see each payphones' (working) telephone number and the location. I would be very grateful if anyone would like to comment on the article (you can leave feedback at the foot of this post). Like I said I am new to the area so would be grateful if anyone could provide some interesting information regarding the local points of interest surounding the listed payphones. I will update the article with your information. Before you read on, you might care to listen to this superb sound map made by the Guardian paper. It'll go a long way in giving non-locals a feel for this place. I would like to add a good piece of information. 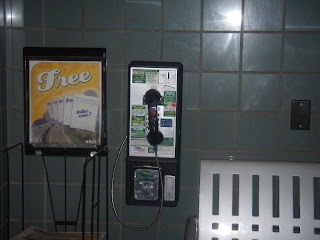 As I took the pictures of these payphones I found that a great many (all) where actually being used. You can see it in some of the shots. 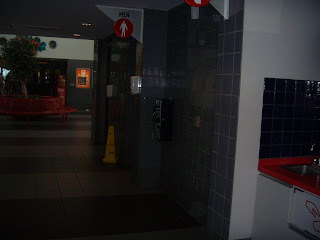 For the payphones where I encountered people using them, I had most cases waited till the users vacated the box as I don't normally like posting pictures where the users can be identified. 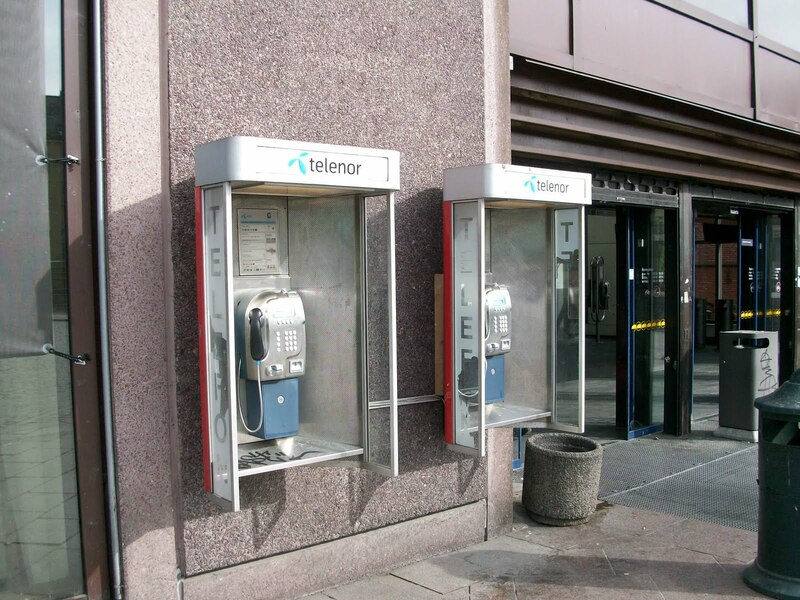 Starting the trip off, the first being this now unusual row of three payphones. They are positioned directly outside the Tesco Metro exit. The payphones see light usage as two where in use when I took this shot. These are the most notorious phone boxes of the street with regards to the prostitute cards that you find in most phone boxes. The cards tend to be slightly more pornographic than the vast amounts you find further into central London. This area did have quite a name for that kind of stuff so would expect the prostitutes to be well rehearsed as to what the local clientèle desires. This phone box had been the victim of a ferocious bill poster. The repeated pasting of posters to it's door have left permanent glue defacing it's door. Never the less it is in working order and saw a lady use it as I walked on to the next phone box. It is positioned alongside a secretive building you can see off to the right of the shot. I can only guess it is some kind of money securities. I really quite like this phone box, my favourite of the street. Not quite sure why, think it might have something to do with it's missing door. 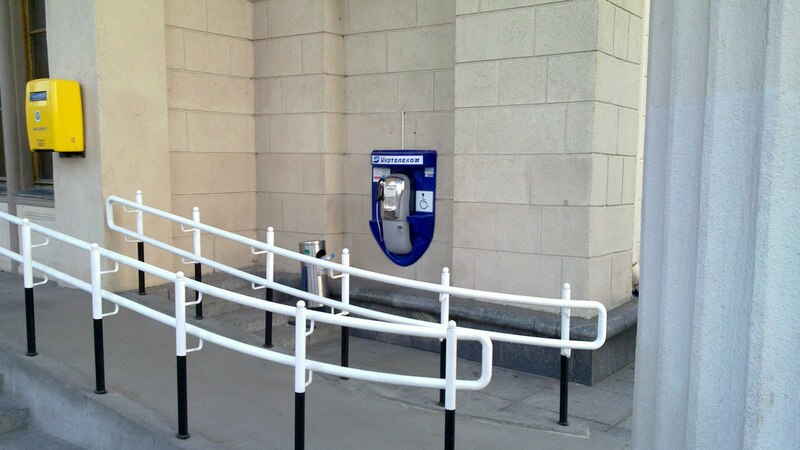 This makes it easier for passers-by to hear a ringing call. 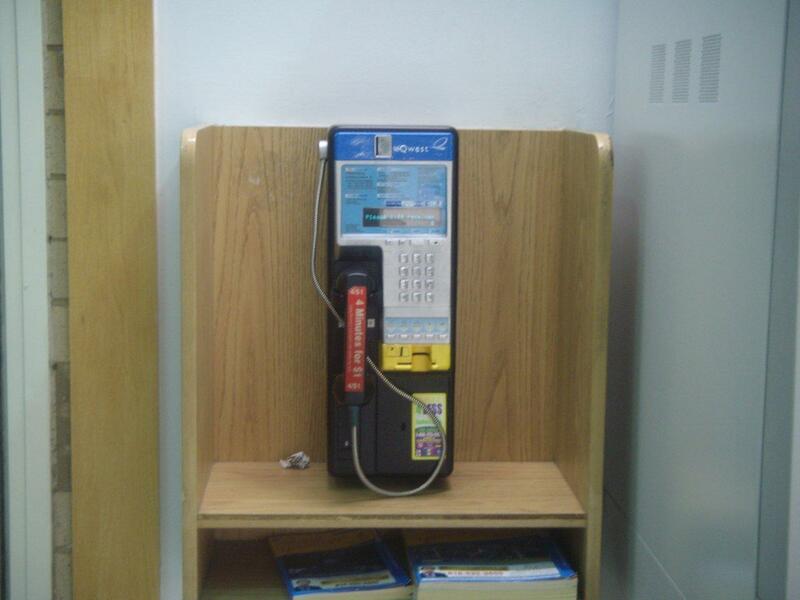 Suppose that's good as the payphone does ring pretty loud too, so offering callers a good chance of an answer. The bus stop is not too far away either. All the right ingredients. 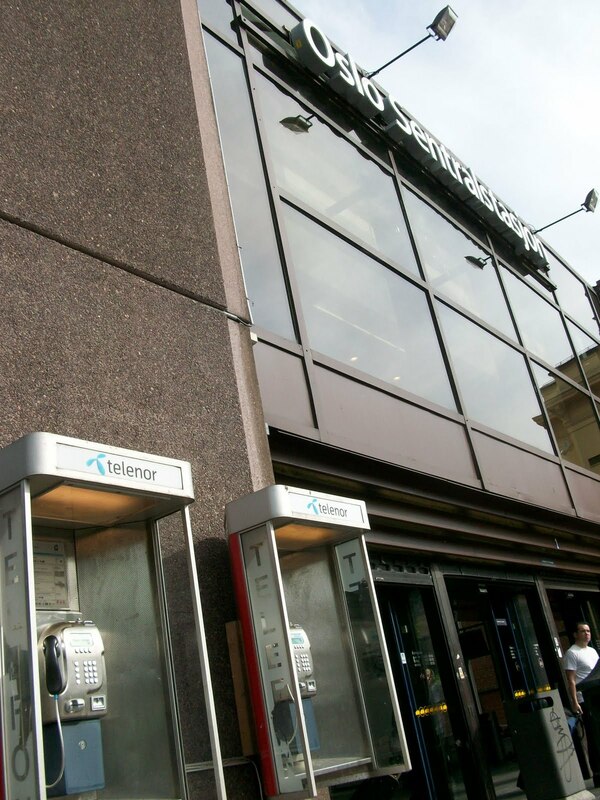 This being my least favourite as, payphones from this company have barred incoming calls from getting through. It again has no door. There is I'd imagen quite a competition for usage with the BT payphone (above) being only seconds away from any potential users. I would be interested to see which of the two will be removed first, seeing as payphone usage is shrinking faster than ever before. 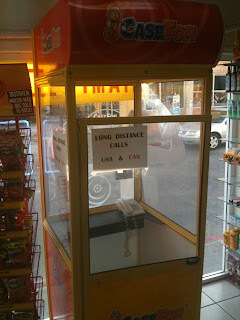 Sight of removed payphone outside Caledonian Fish & Chips, Chinese Take Away. And this is Caledonian Roads' very own victim. The site where a once proud BT phone box stood. Then again I am not surprised as the two above mentioned phone box are both within a stones throw. I've also noticed that these payphones see more than their fairshare of vandalism, perhaps BT got fed-up with the continued maintenance of this one. From all the payphones of Caledonian Road I can say this gets good usage. I always see anyone of the local boy's (the one's you always see straddling the area on their bikes) on this payphone. I have even chosen this one to call BT for a line installation upon moving into my new place. Again, you can see someone still needs a phone box. This guy spent nearly 45mins on the phone. Opposite you can see the local fruit trader selling his apples and pears from an old Barclays branch. This street has so much character. I Love it. On the Bridge up there you can see the word "Ferodo", ever wondered what that is? Well I spent most of my London Years wondering (nobody ever told me). It's the name of a company that makes breaks! Can you believe it? Why would they want to advertise breaks to the general public, that space would have been better for advertising something else,.. I don't know, something like breakfast cereal or shaving gel. 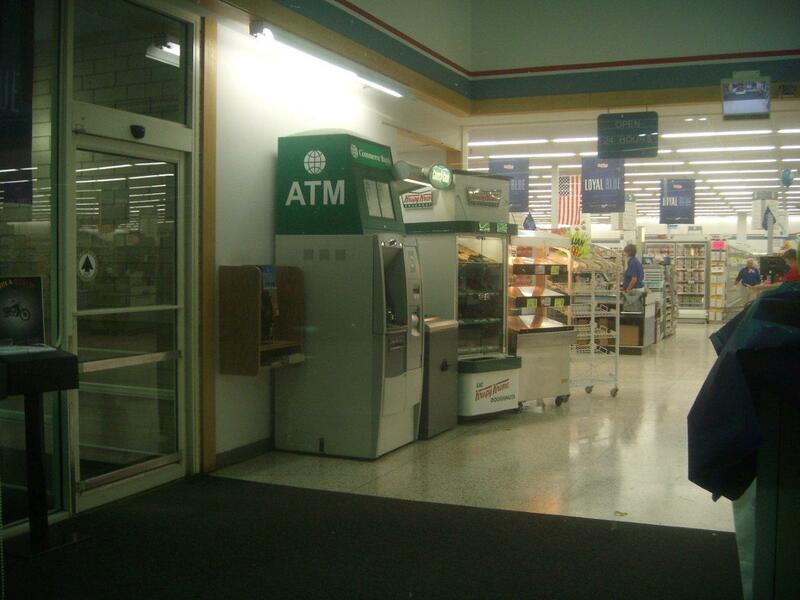 Anyways, although the payphone rings you'll only catch someone's attention if they are actually in the box. The road here is busy and the door is still on the phone box making it real hard to be heard from outside. Again, can't hear this one ringing from outside. It does get a fair bit of use, positioned not far from a well used bus stop. At the time of this shot there was a long queue of local school kids making there way to Caledonian tube station for a day trip. I loved them back when I were a kid. To get an answer form calling this box you'd better make it early when there's little traffic (noise) and the bus stop would always have a good few people hanging around for the early morning bus. It's positioned directly outside an old police station that now functions as flats. Really a very good one to call, Rings at a decent volume and gets plenty of passers by. The only problem is, most are too busy to answer. Still worth a good try though. Sad picture here. In the space of a few hours somebody must have vandalised the handset of this brave payphone. I passed by here the night before. There are some serious problems in the minds of this people that have to destroy these things that only stand there to offer us a service. I often wonder why these people do this. Less fortunate people from poorer parts of the world look after and appreciate there phone boxes. 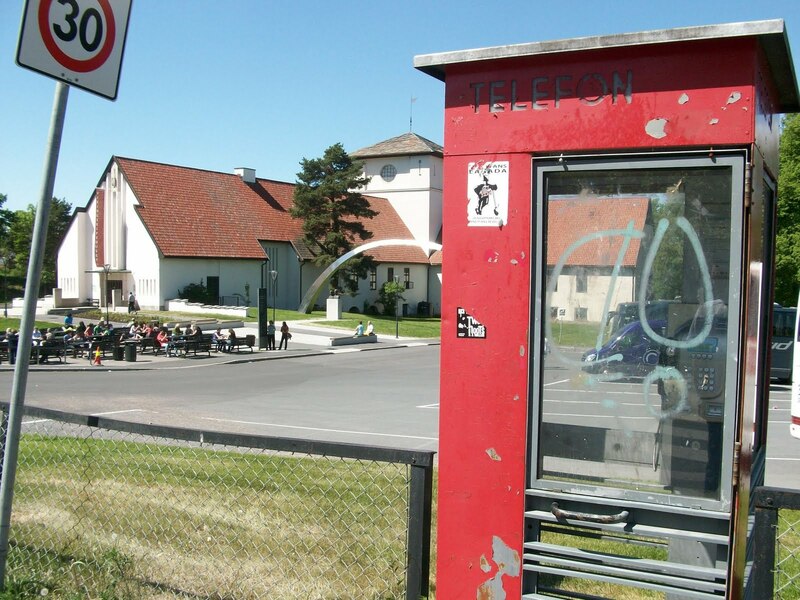 I remember seeing a picture of a payphone in India where the locals clean and service there town payphone, decorating it with pictures and flowers. It makes me angry and sad, some people in society have everything offered to them on a plate and they have to destroy something that belongs to everyone. A shame. This is the last and most Northern phone box on the Caledonain Road. It brings the trip to an end. It's interesting because it is positioned bang smack next to an old Royal Mail Postbox, a great picture. Although the number is working it is very hard to hear when in the box let alone from outside. I hope you enjoyed this crazy trip and I hope that this serves to document the payphones and phone boxes on Claedonian Road as, I am sure a few of them will be removed in time. They form an important part of the memory of locals that have lived in the area for a long time. For any fellow residents of the area, please visit the Kings Cross Environment website for great local information.